Our new update provides powerful signals to direct new and repeat users to our app. We’re proud to debut push notification, improved sharing via Facebook and new branding touches. Push notifications allow you to send messages directly to the people who have installed your app, even when the app is closed on a device. Send (and schedule) unlimited notifications right from your dashboard. You can even send users to specific pages in your app, like an address update form. 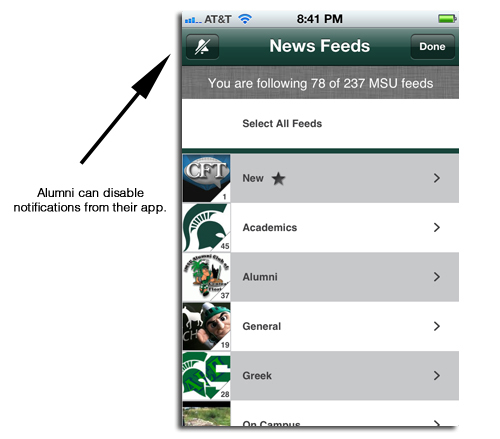 Your alumni have control over their notifications. 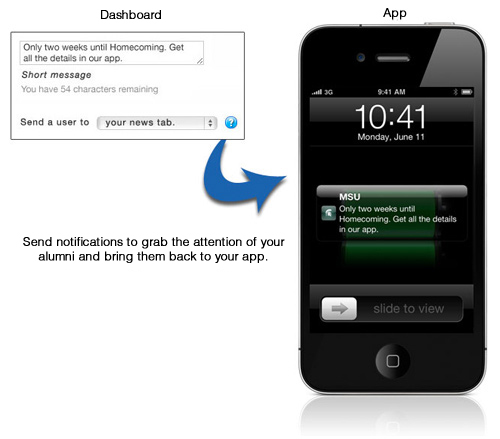 When used right, push notifications can be a powerful communications tool within your larger communications strategy. Since sharing is so important to the growth of your app in your alumni network, we’ve added the ability to easily “like” stories. 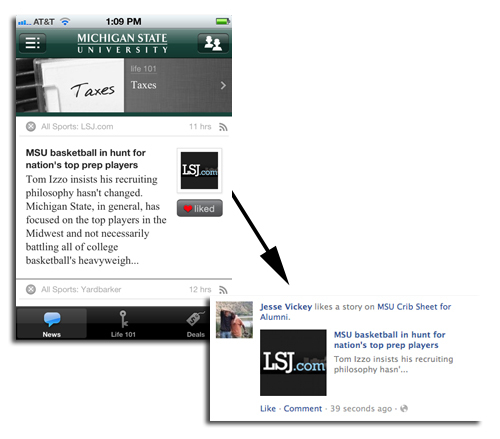 Now with one simple tap, “liking” a story sends a short message to friends on their Facebook pages. Links within these Facebook messages make downloading your app easy. 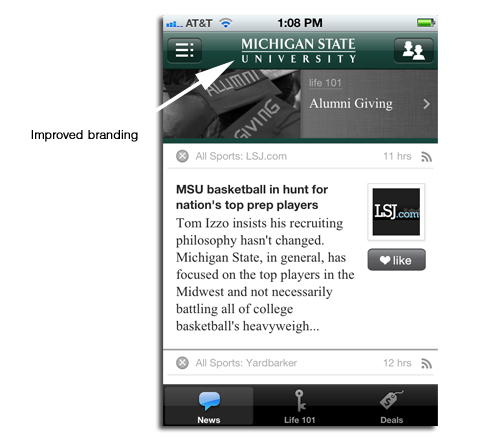 On iPhone and iPad, we now include a vertical, white logo to improve the branding in your app.